Specifically suited to the marine environment. 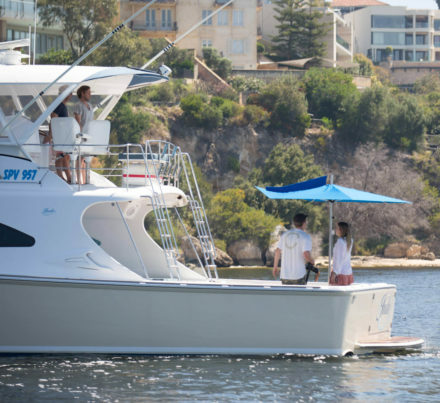 Best salt resistant materials of construction, unique wind stabling design and intelligent fixing options make the Finbrella the best boat and marine quality umbrella available anywhere. 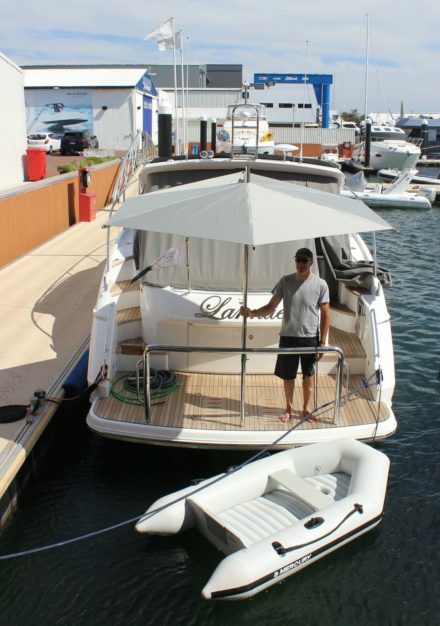 An excellent boat shade alternative to T-tops and fixed canopy structures. Finbrella F-280-S boat umbrella in pacific blue on a fixed camlock base. F-280-S boat umbrella in pacific blue on a fixed camlock base plate. 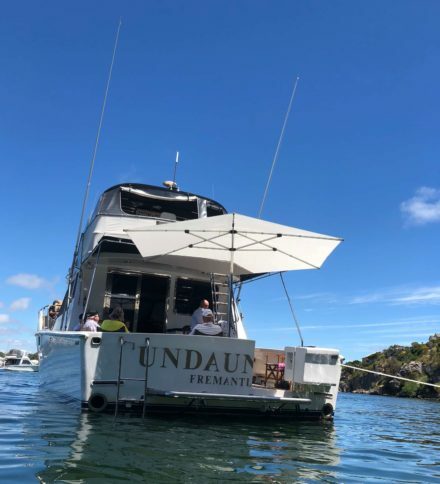 Rottnest Island WA: Finbrella F-280 boat umbrella deck mounted on a fixed camlock base. Fremantle Sailing Club. Martin Box Marine hosting Wellcraft trade and public day. 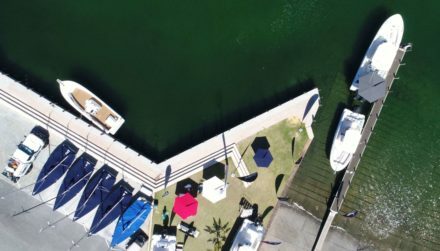 Finbrella umbrellas providing shade on grass and boats. 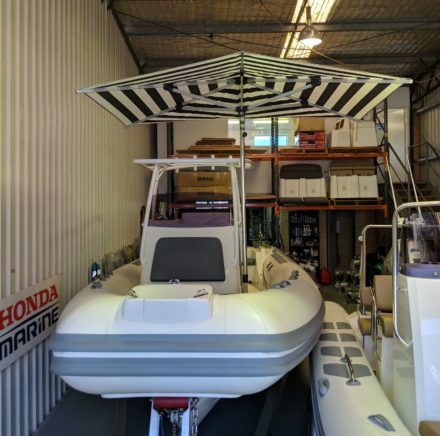 Sirocco Marine: Brig Eagle 780 RIB with Finbrella F-280-S boat umbrella on a custom deck mount socket. 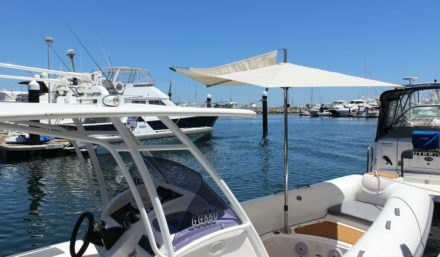 Finbrella F-280-S boat umbrella installed into a custom rail mounting on a new Princess 39'. 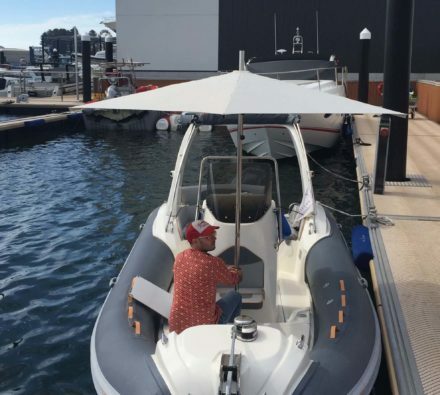 Finbrella umbrellas size testing on a Nuova Jolly Prince 21 RIB c/o The Boutique Boat Company, Fremantle. 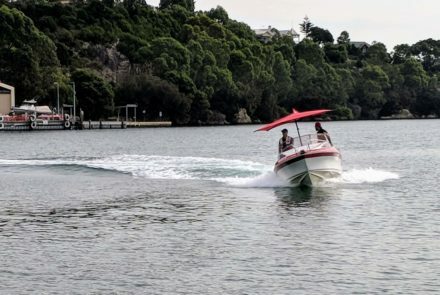 Stability testing of a new centre pole variant on a F-280 boat umbrella. Swan River, West Australia. 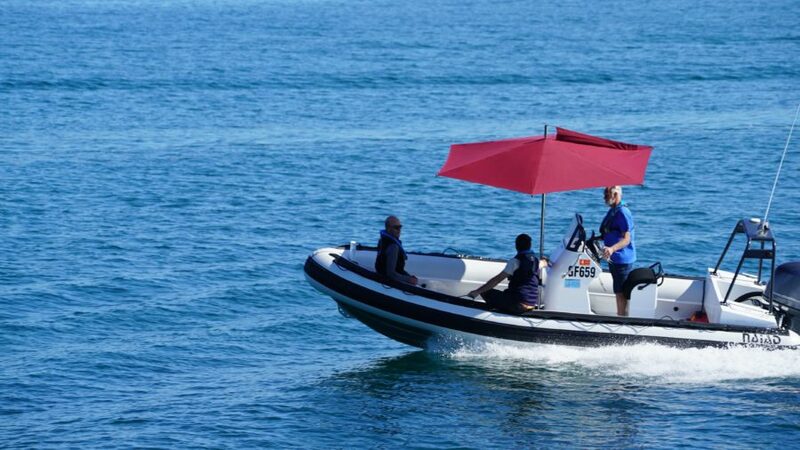 New centre pole variant on a removable deck mounted F-280 boat umbrella. Swan River, West Australia. Custom stern gunwale mounted F-400 Retro (finless) boat umbrella on Precision 57. Perth, Australia. 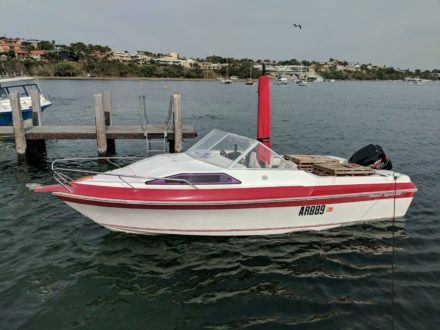 Brig Eagle 780 RIB with Finbrella F-280-S boat umbrella on a custom deck mount socket. Sirocco Marine, Fremantle.